It’s no secret that swimming is one of the best workouts around because it trains most of the muscles in your body at once. But did you know you can actually target specific muscles while swimming? All you need is a kickboard! 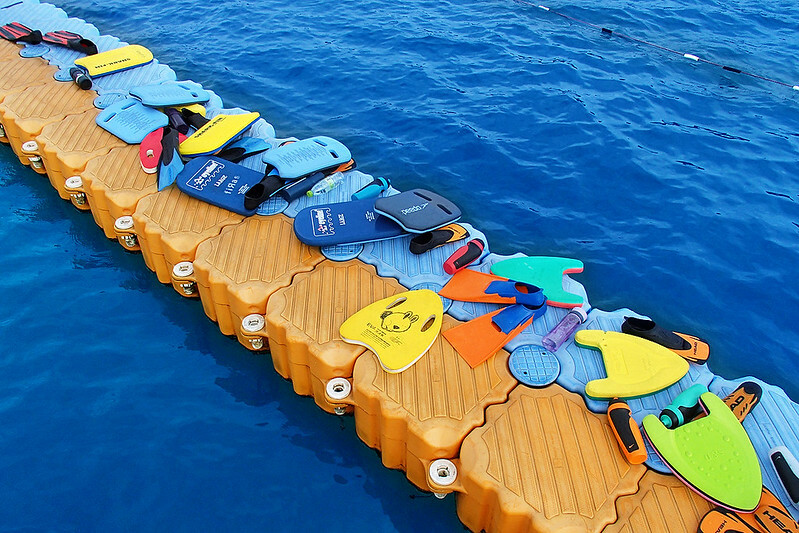 There’s a common misconception that kickboards are only useful for teaching kids how to swim. But this couldn’t be farther from the truth. Kickboard workouts actually help you target specific muscles during your workout. Here are some different kickboard routines you can incorporate into your swim session. A great way to ease into kickboard workouts is by targeting your hips and glutes. It’s a nice introduction to using a kick board as well as still getting your workout in. This will give your arms a break and allow you to focus on a different area. To target your hips and glutes, begin by holding the kickboard in front of you with your legs floating behind you. Lift one of your legs to the side, making sure to keep your back straight, and slowly raise the leg as high as you can without turning your ankle. Lower your leg to the starting position and repeat. Do a full set of repetitions for each leg, maintaining proper form throughout the sets. In addition to working the buttocks and hamstrings, this exercise works the abdominal muscles as well. I promise this one isn’t as scary or intense as it sounds! But this particular kick board workout is more on the advanced side, and allows you to get a better sense of your body in the water. To perform this drill, hold the kick board upright in front of the body, like a tombstone coming out of the water. Begin kicking the length of the pool while focusing on keeping the kick board out of the water as much as possible. This excercise helps swimmers with their balance and gives the legs and core a challenging workout. A more advanced version of this drill has swimmers place the kick board on its side. 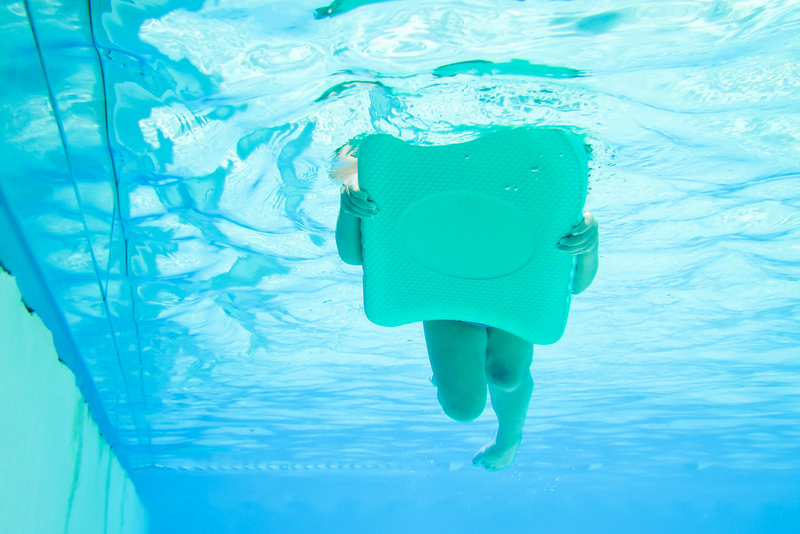 The longer side increases surface tension and allows high level swimmers to get the most out of their kick boards. This technique is often used when doing the freestyle or backstroke, only in this case you add a kick board to it. Flutter kicks are great for targeting your legs, helping your tone and strengthen them. To do the flutter kick start by laying the kick board flat on the water in front of you and place both hands at the top of the board. Slide your shoulder blades down your back, engage your abdominal muscles and lift your hips to the water line. Begin your flutter kick, which is similar to a soccer kick. Generate power from your thighs while maintaining a bent knee and relaxed ankles. Keep the kick small and productive. These are 3 great workouts you can do with your kick board. They each require a different level of expertise, so it doesn’t matter whether you’re a beginner, intermediate or advanced swimmer: there’s something for everyone! This is only 3 examples of kick board workouts you can do. There are so many more to choose from. Now that you have been introduced to 3 new kick board workouts, grab your kick board and your Underwater Audio waterproof iPod, hit the nearest pool and start your workout now! What are some other kick board workouts you have tried that were not mentioned above? What is your favorite and why? Tell us in the comment section below!